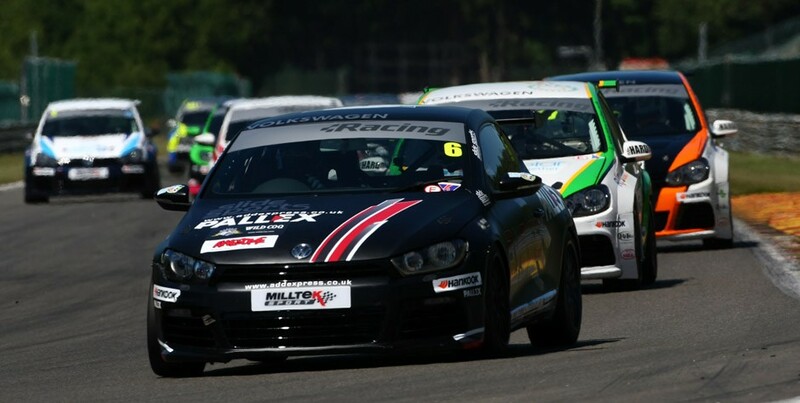 With just six races remaining over which to decide the outcome of the Milltek Sport Volkswagen Racing Cup, next weekend’s (1/2 August) Brands Hatch rounds could prove crucial to the title hopes of the five drivers likely to be disputing the crown come season’s end. Rotherham racer David Sutton has led the championship since his twin Easter wins at Oulton Park at the wheel of his SlideSports Scirocco. Further race victories followed at Rockingham and Silverstone and, even though weight penalties imposed at Spa-Francorchamps a fortnight ago blunted his pace, David achieved top-five placings to maintain his points lead. 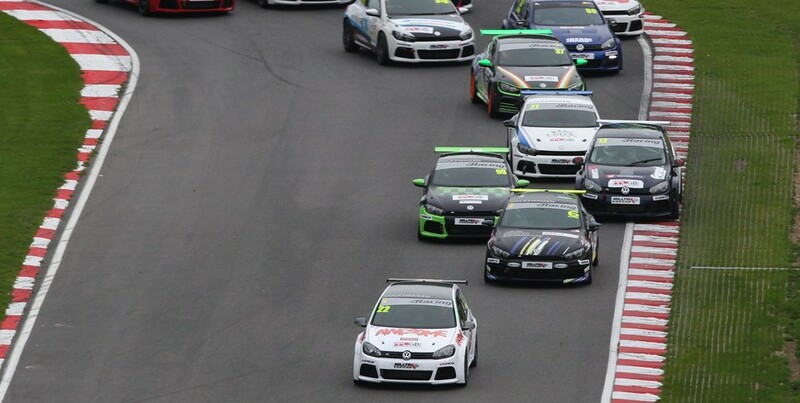 It was on the Brands Hatch Grand Prix circuit only last year that Sutton scored his maiden race wins in the VW Cup. Sutton’s SlideSports team-mate, 24-year-old Laura Tillett, will be hoping to provide David with as much back-up as possible, and at the same time scoring a good result at her home track. 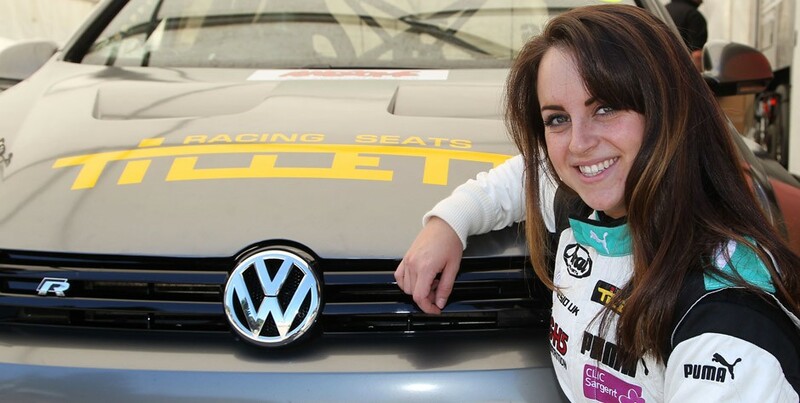 West Malling-based Laura endured a difficult debut with the SlideSports Golf GTI at Spa, with technical issues preventing her from scoring a worthwhile race finish. Those problems have been traced, she says: “In the races, it was a seized turbo, which we think stemmed from the issues we had in qualifying. We went all that way to Belgium for nothing really, but I couldn’t have been happier with the team and the effort they put in. That’s motorsport: those sort of things happen all the time. 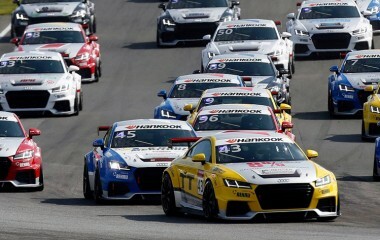 “Hopefully we can put all that behind us at Brands Hatch. 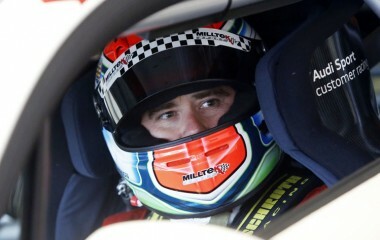 I am really confident with the car and with the team, so fingers crossed. It’s my local track – just a bike ride away from my home – and I really like the Grand Prix circuit. It has so many different levels to it, and it’s a really good, fun track to drive. I have raced on it in a single-seater before and it will be good to see how it goes in the Golf. I’m hoping for a top-10 finish, which would be my best result of the year and I’d be over the moon with that. “I have a whole entourage of people coming; friends and family. Usually I race away from home, and so with this round being so close I have had everyone save the date and come along… probably enough of them to fill a grandstand.” Tillett will arrive at Brands fresh from competing in the CIK-FIA European Championship races at Kristianstad in Sweden, Laura having returned to her karting roots after a two-year lay-off. 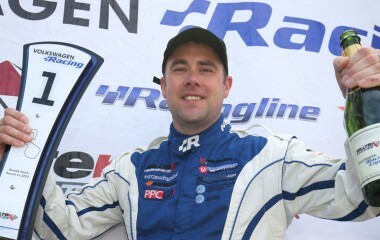 She is not the only contender looking for home glory: Rochester’s Simon Rudd and his Golf-driving team-mates from Dartford-based Team HARD will be seeking further success after their strong showings at Spa, where Michael Epps and Howard Fuller crossed the line 1-2 in both races. The 2013 and 2014 champions, Aaron Mason and Joe Fulbrook, will be hoping for a turnaround in their fortunes and that they can narrow the points gap between themselves and Sutton. Mason, the driver holding the VW Cup race victories record with 20 to his name, is still chasing his first win of 2015 and his AWM Scirocco hasn’t made the podium since Rockingham in early May. 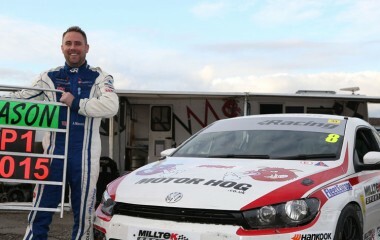 Safe and Sound Golf GTI driver Fulbrook claimed one of the Silverstone rounds, joining Scirocco men Joe McMillan and Jack Walker-Tully in the 2015 winners’ circle. A pair of good points finishes at Spa has lifted Walker-Tully to third in the championship, just ahead of Fulbrook. Championship fifth-place man is KPM Scirocco driver Lucas Orrock. Victory has so far eluded the former kart champion but a return to the podium at both Silverstone and Spa suggests that the Cambridgeshire youngster is not far from achieving his goal. Former champion Phil House and Hornchurch-based Bobby Thompson are the season’s other top-three race finishers, the latter claiming his debut podium last time out.